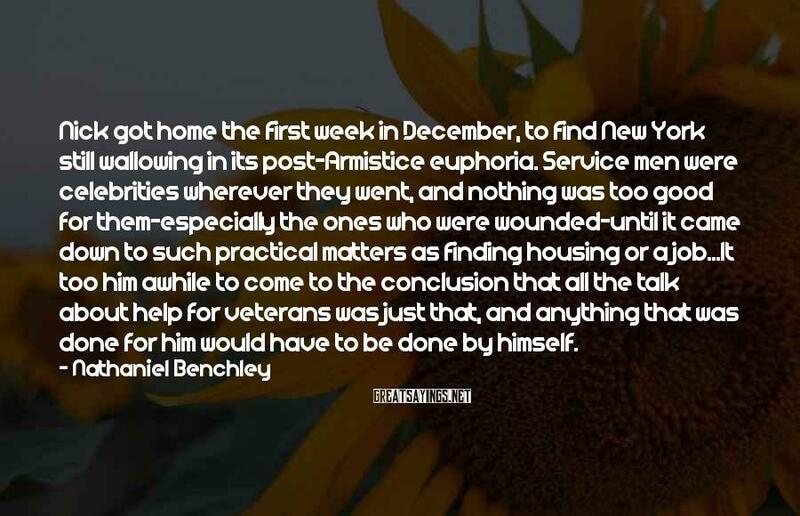 2 Nathaniel Benchley Famous Sayings, Quotes and Quotation. This is a work of fiction, and the people in it are fictitious. 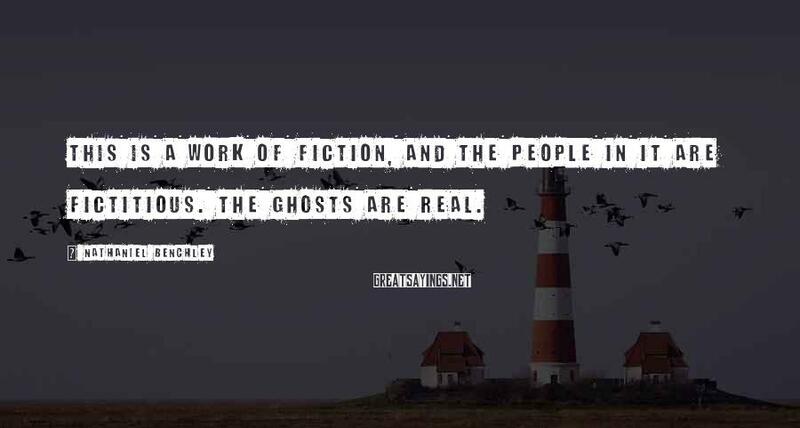 The ghosts are real. Nick got home the first week in December, to find New York still wallowing in its post-Armistice euphoria. Service men were celebrities wherever they went, and nothing was too good for them-especially the ones who were wounded-until it came down to such practical matters as finding housing or a job...It too him awhile to come to the conclusion that all the talk about help for veterans was just that, and anything that was done for him would have to be done by himself.